DCML has launched an overhaul of its advanced vehicle management tool, DCM Connected, resulting in an intuitive package which is significantly more advanced than the competition. The redesign provides customers with an even more intuitive interface and additional user-friendly functions for mobile and tablet devices. The new features allow users to remotely book appointments directly through mobile and tablet devices rather than via the main PC-based system, improving and streamlining key processes for managing fleets of loan cars, demonstrator or any other fleet vehicles. The overhaul represents the latest update of the much-lauded DCM Connected, which integrated cutting-edge telematics into traditional fleet management software to provide a clear and effective tool for vehicle management. The specialised software allows fleet managers to track their vehicles, oversee diagnostics remotely, monitor how they are being driven and provide streamlined customer service. Furthermore, thanks to the sophistication of the DCM Connected software, accidents can be reconstructed by recreating the moments before and after a collision; minimising fraudulent claims and preventing claims disputes. 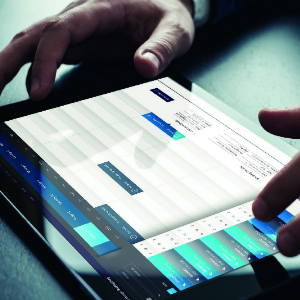 The software specialist added several of the UK’s top dealer groups since the launch of DCM Connected, including Spire Automotive, Sytner Audi division and the digital retailer, Rockar. DCM Connected not only manages and insures fleets – with a day-rate insurance option available – but also enhances visibility and control of vehicles, allowing fleet operators to understand where their cars are at all times and how they are being driven, whilst also monitoring vehicle health. As well as supporting over 1,000 franchised dealerships, DCML assists manufacturers with efficient online marketing tools.